This year the International Poster Biennale in Mexico decided to have a guest country, and its first selection was Italy. This was not just a random choice among the many countries with outstanding graphic design, or mere sympathy between two countries of similar southern temperament. 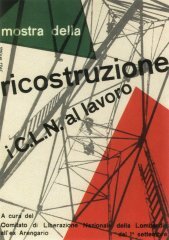 The good relations between Italy and Mexico go back at least to the years after World War 2 when the famous italian designer Albe Steiner spent two years in Mexico. His daughter Anna, now a graphic designer herself, was born there in 1947. The combined italian - mexican magic still works until the present day: When Gianni Bortolotti from Bologna told me about the Biennale with gleaming eyes two years ago, and then on top of it his mexican student Lourdes Zolezzi sent me some of her posters, I could no longer resist and went to Mexico last fall. 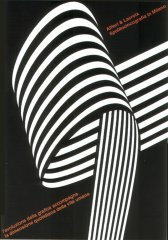 Italy was present during the Biennale with many events, among them a Bruno Munari retrospective, individual exhibitions by Anna Steiner and Franco Origoni, Andrea Rauch, Gianni Bortolotti, a talk by art critic and jury member Aldo Colonetti, and an exhibition of italian posters, some of which are shown in this catalogue. 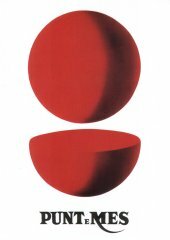 Included are works from Giorgio Camuffo, Enrico Camplani, Alan Fletcher, A.G. Fronzoni, Max Huber, Giulio Cesare Italiani, Emanuele Luzzati, Francesco Medina, Bruno Monguzzi, Bruno Munari, Bob Noorda, Leo Lionni, Franco Grignani, Franco Origioni, Gianluigi Pescolderung, Giovanni Pintori, Andrea Rauch, Stefano Rovai, Albe Steiner, Tapiro, Armando Testa, Oliviero Toscani, Luigi Veronesi, and Massimo Vignelli. Printed in superb quality, the set of postcards sold like hotcakes among the many students that attended the Biennale and the workshop in Guadalajara.